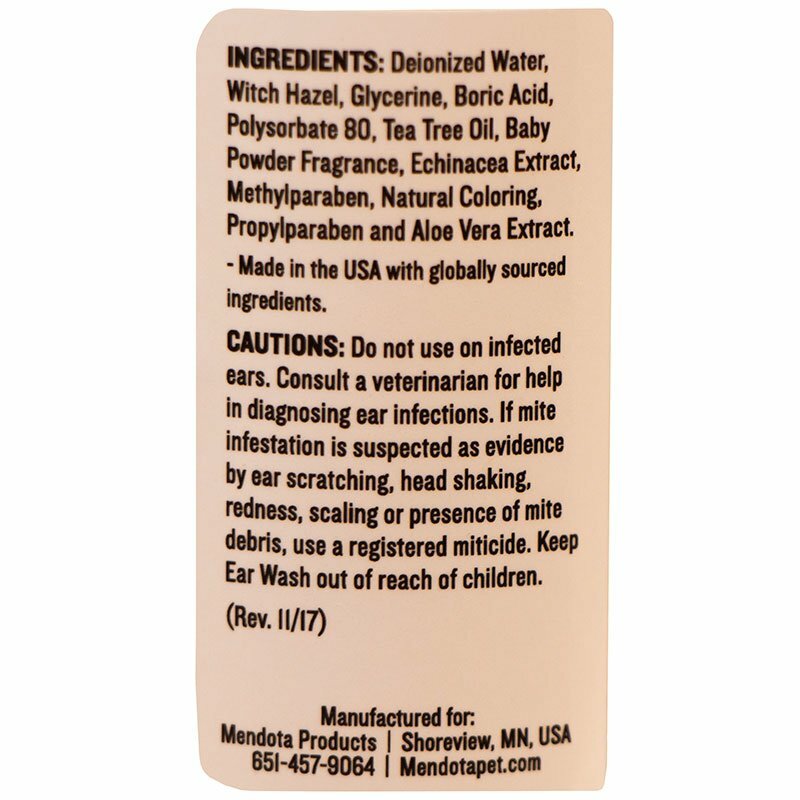 Ear Wash by Mendota Pet -- 4 oz.. $9.99. 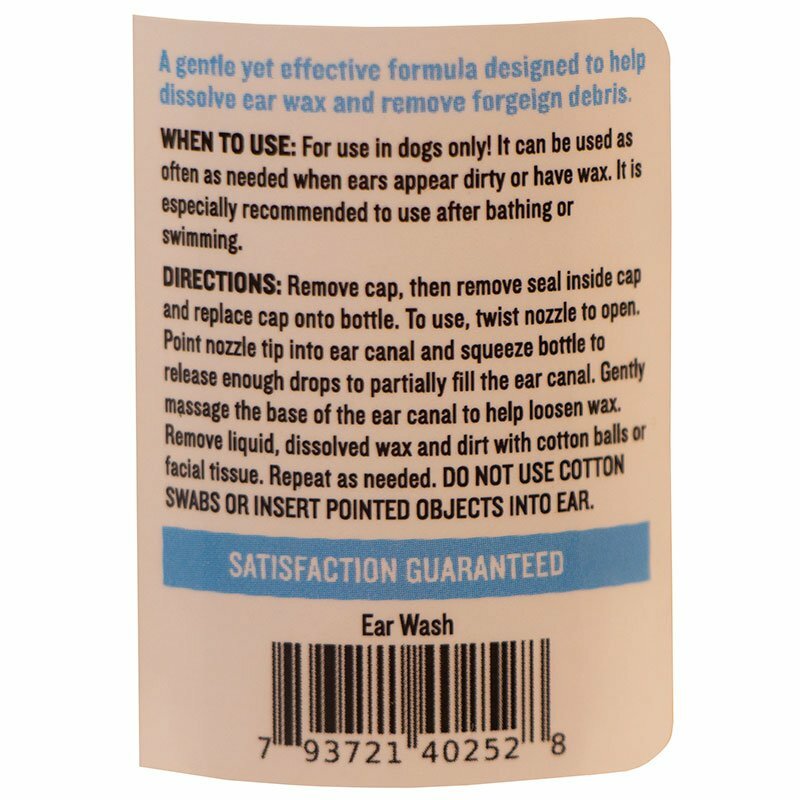 I've used everything the vet has prescribed and given me to no avail to cure my lab's constant ear infections--this is the only thing that has worked and she actually doesn't mind it! "Has worked better than anything I got from the Vet"
Has worked better than anything I got from the Vet. 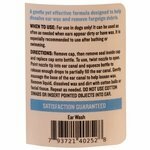 Naturally cleans and disinfects your dog's ears. 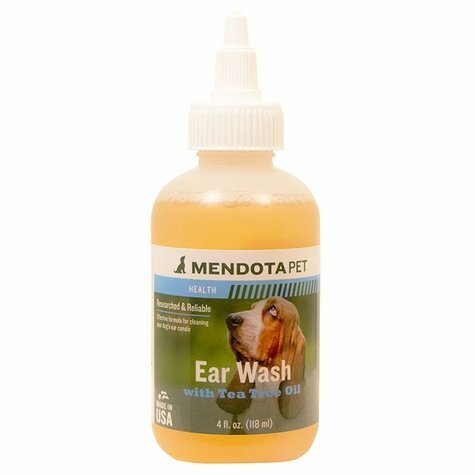 Mendota Pet Ear Wash is a mild, yet effective formula consisting of all-natural active ingredients for cleaning the ear canals of your dog. It creates an environment for healthy tissue growth, and helps eliminate head shaking and ear scratching caused by dirty, inflamed ear tissue. 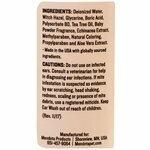 Removing such debris can result in increasing your dog's hearing, balance, and quality of life.